Equivalent fractions represent the same ratio, even though they may look different. As with many concepts in math, a good way to practice identifying equivalent fractions is by playing games. Lots of games exist that you can use to develop this skill and fortunately, you can adapt them for different skill levels. 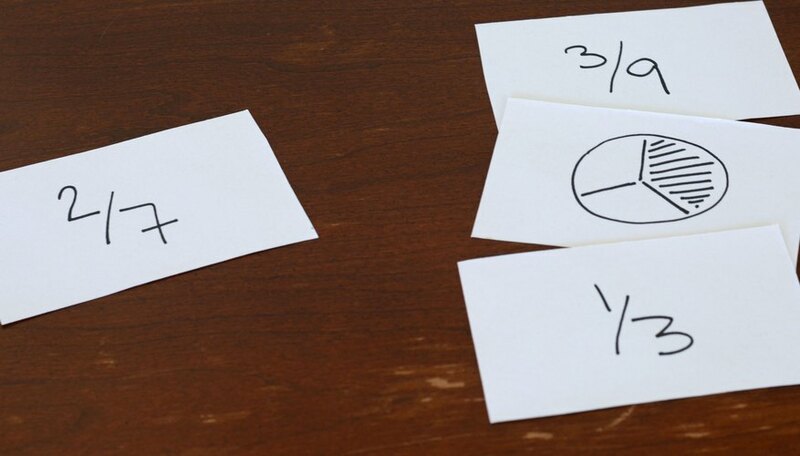 You can play matching games on the computer or by using index cards. Give students a set of three pairs of fractions and ask them to identify the pair that is equivalent. The fractions could be represented visually, as partially shaded circles, or in number form. 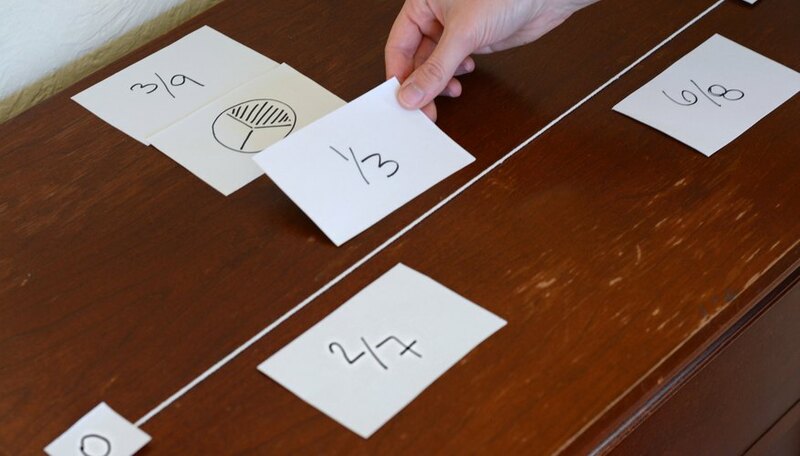 The student either clicks on the matching pair or selects the two matching index cards to move on to the next set. 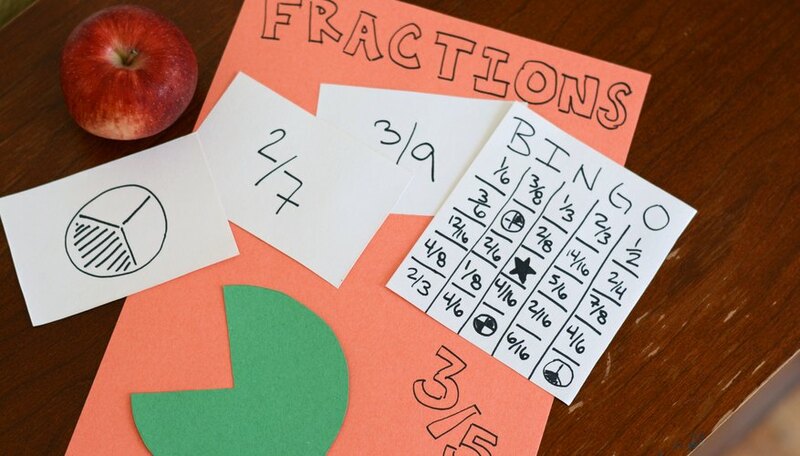 Play equivalent fraction bingo as a class: Select a student to write a fraction on the board -- either a number or a shaded circle, depending on how well the class grasps the concept. Students then search their boards to find and cover the equivalent fraction. 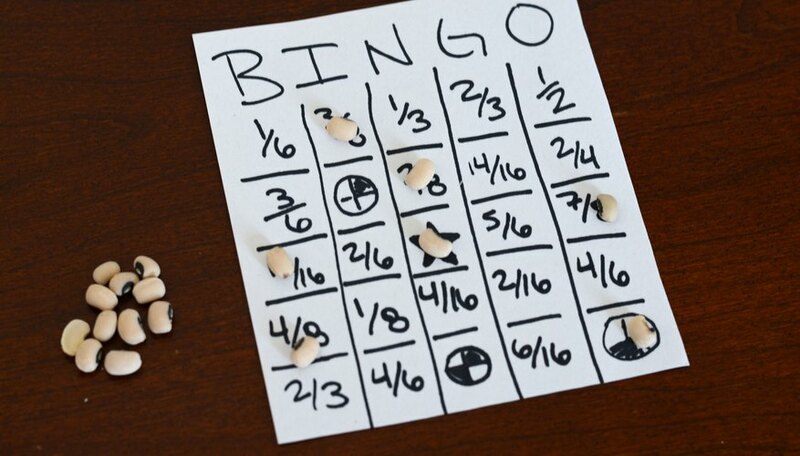 Once they've covered an entire row of equivalent fractions, they draw a bingo. Alternatively, students could play this game in small groups or individually on the computer. 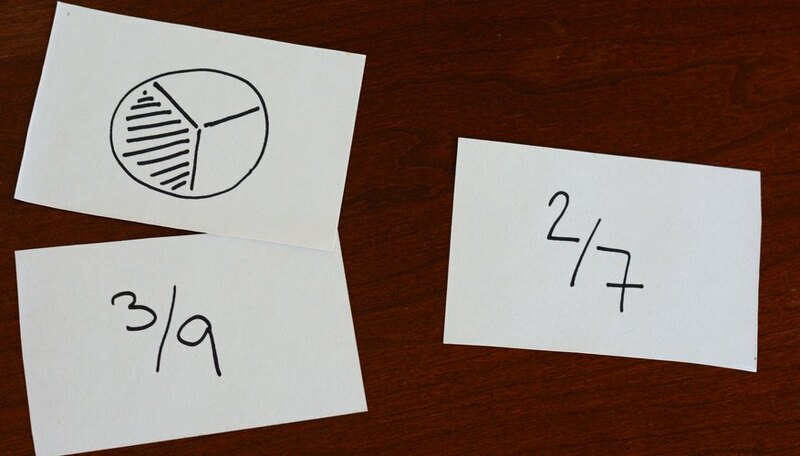 Have students draw index cards with fractions displayed visually as shaded circles and instruct them to plot those fractions in order on a number line. 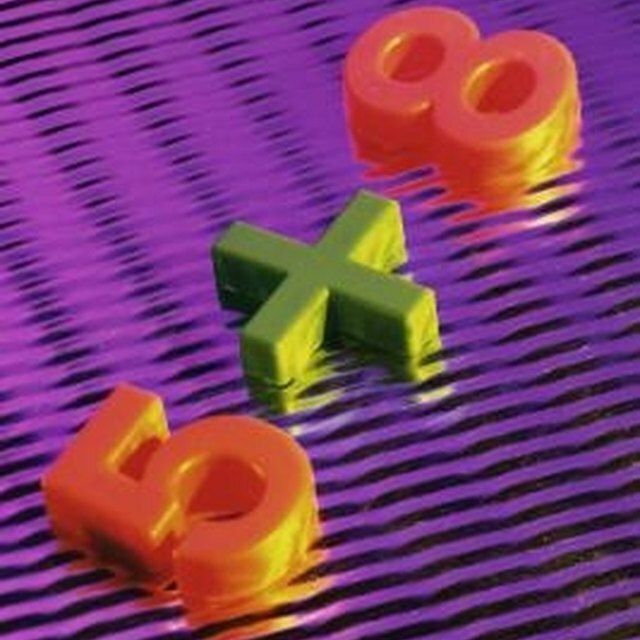 Equivalent fractions will land on the same place between 0 and 1. Another way to incorporate number lines is to give students number lines with fractions already placed on them, and provide them with a separate set of fractions, equivalent to those on the number line. Students then match the equivalent fractions so they are all on the number line. Using index cards or the computer, show students four fractions, three of which are equivalent. Students have to select the fraction that is not equivalent, either by clicking on it or removing it from the group of four. Each round that they complete correctly leads them toward some kind of prize, like candy or extra credit points. Like the others, this game can be made easier by representing the fractions as shaded circles instead of numbers. O'Donnell, Ginger. "How to Teach Equivalent Fractions to Third Graders." Sciencing, https://sciencing.com/teach-equivalent-fractions-third-graders-8235723.html. 25 April 2017.